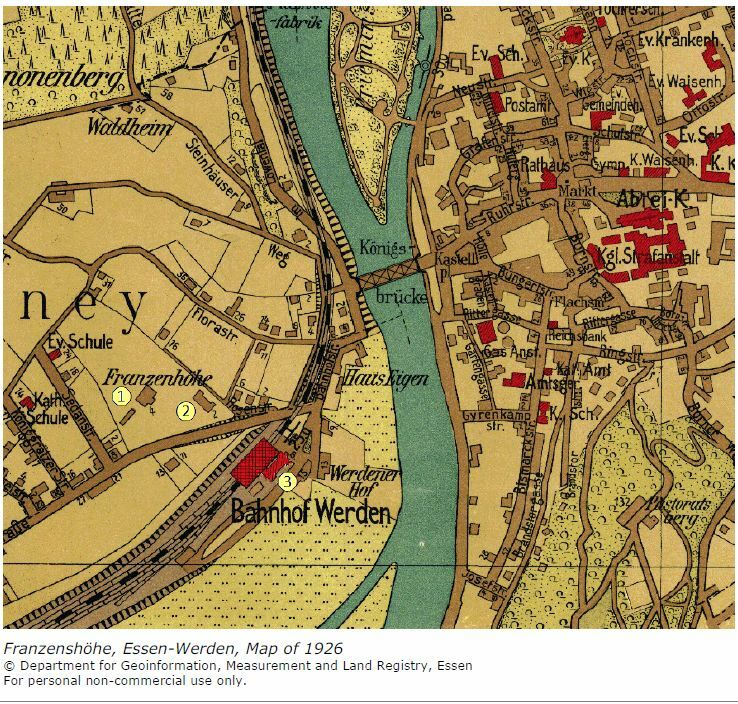 A blog for the Hirschland Family of Essen and its descendents. 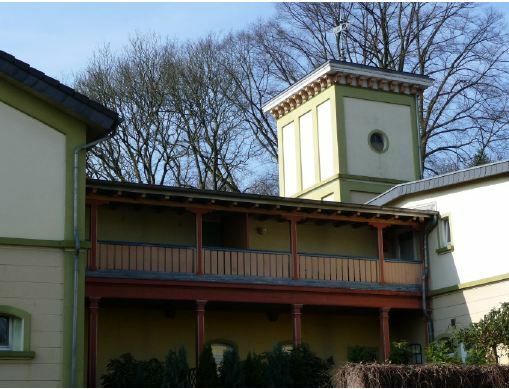 Our correspondent in Essen, Fabio, whose interest is the history of his hometown Essen, recently researched the Georg S. Hirschland Estate, Franzenshöhe. He has sent us maps, pictures, postcards, and more of the property as it existed in the early 20th century, and as it exists now. Note that a lot of this information relies on Google Translate from German to English and back. If we have made a mistake, please comment below. Franzenshohe is about eight kilometers (approx 5 miles) south of Essen. It was built in 1874-76 by Ewald Hilger (1833-1887), who named it memory of his father-in-law, Franz Schmidt (1795-1866). 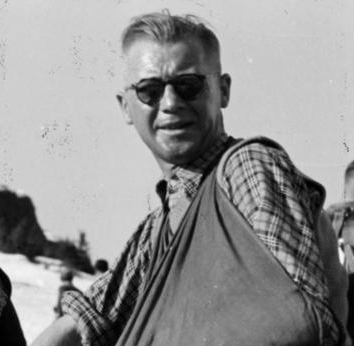 “Franzenshöhe” means Franz’s Height. Essen von A bis Z. 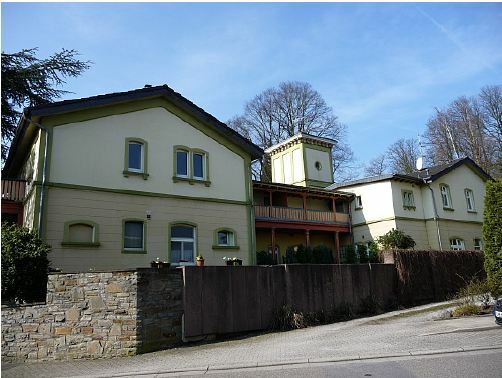 The Hirschlands bought it in 1923, fled it in 1938, reacquired it after the war, and ultimately sold it to the Diocese of Essen. 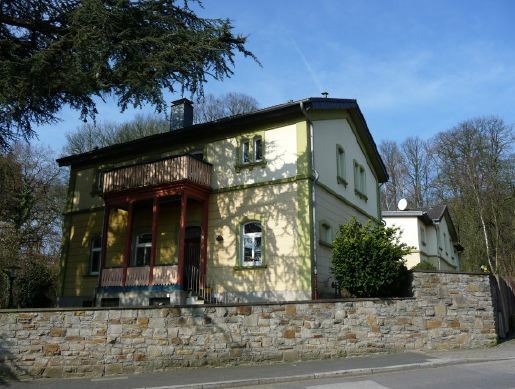 Though the area around Franzenshöheis somewhat built up now, it was not when our family lived there. 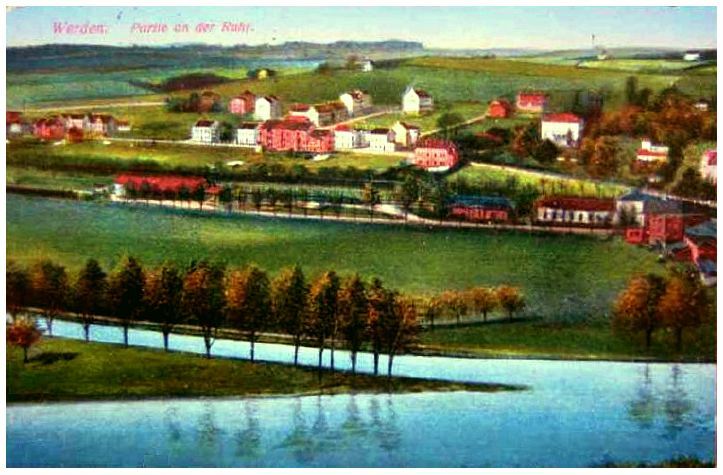 This postcard shows the area near the Franzenshöhe. 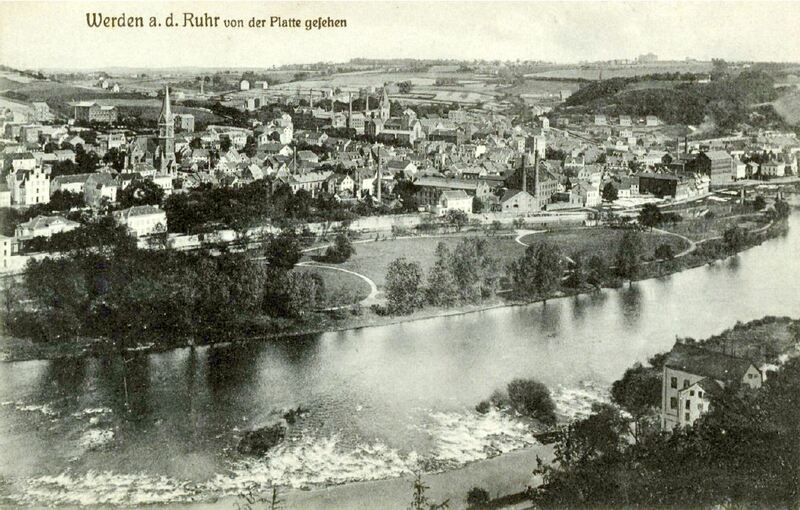 Werden a.d. Ruhr, 1926. 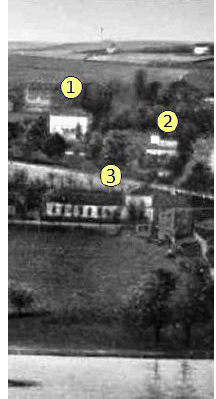 Note the Villa (1), Carriage House (2), and Train Station(3). And a postcard of the village of Werden in the 1920’s. The entire pdf of Postcards. The Franzenshöhe area has changed since the Hirschlands left it. 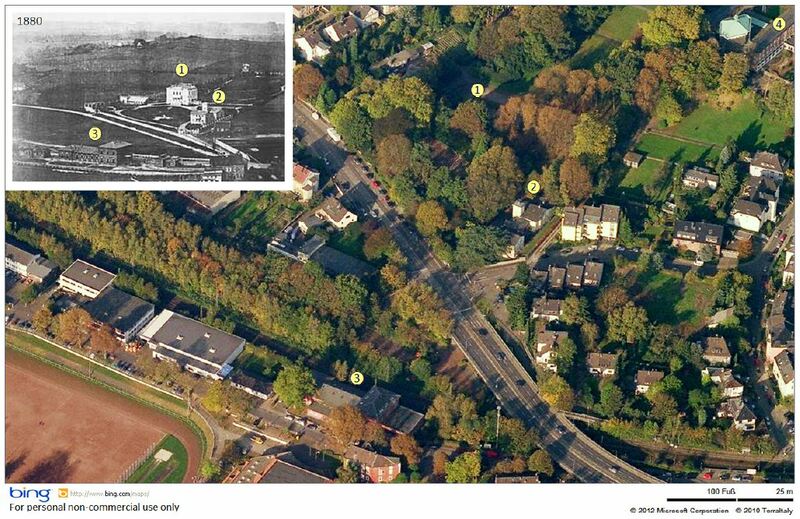 These aerial photos are used with permission of (and copyrighted by) the Department for Geoinformation, Essen, Germany. 2009 captured from Bing, with an insert by Fabio of an 1880 photo. 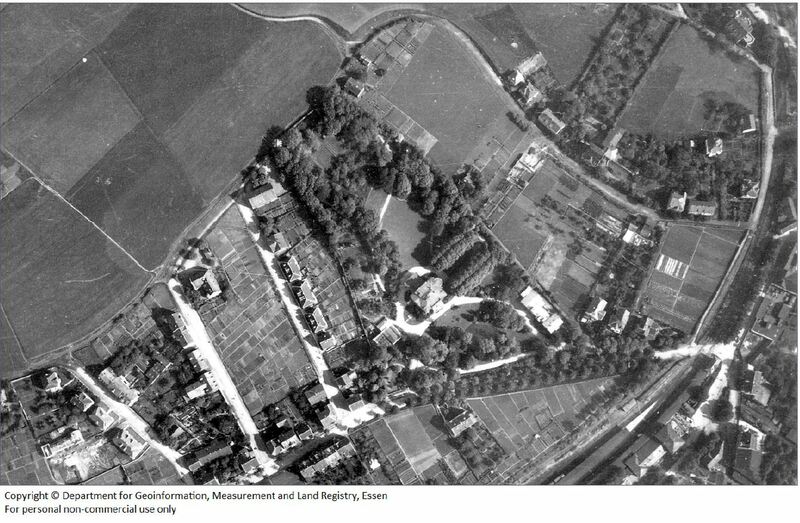 The Villa (1) is no longer standing, but the Carriage House (2) and the train station (3) are still there. 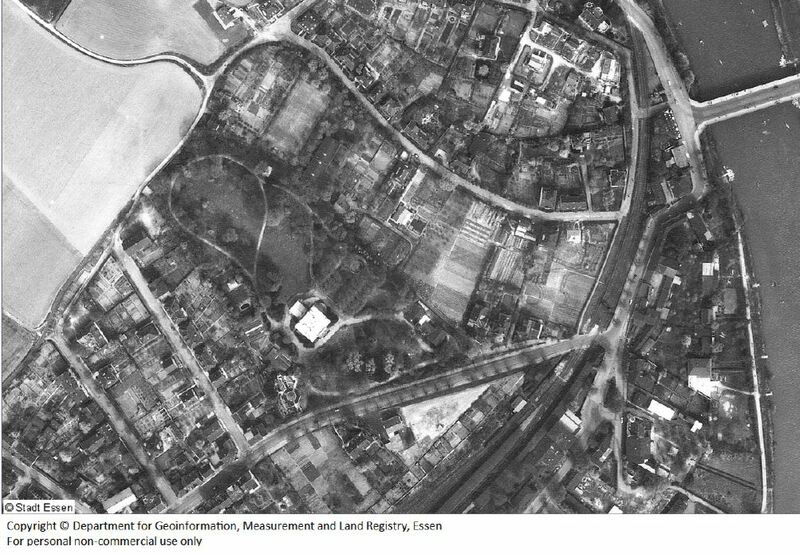 PDF of all the aerial maps. 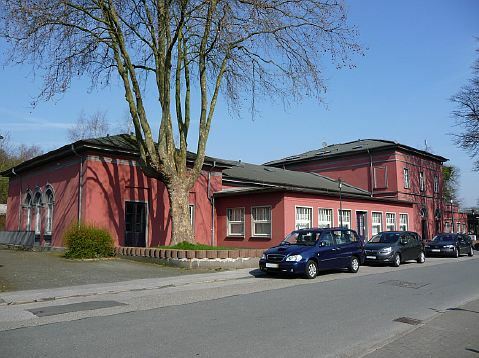 Having bought the estate in 1958, the Essen Diocese built the Construction of the Seminary St. Ludgerus 1960-61, Kardinal-Hengsbach-Haus in the NW corner of the Estate. 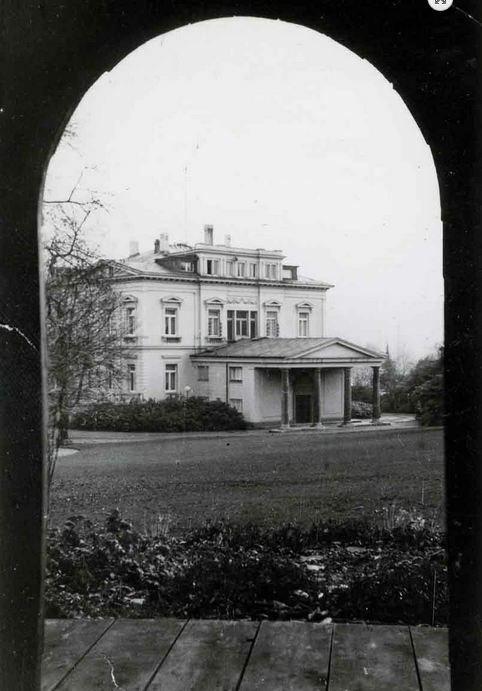 In 1965, the Villa was demolished. 1961. Franzenshohe. 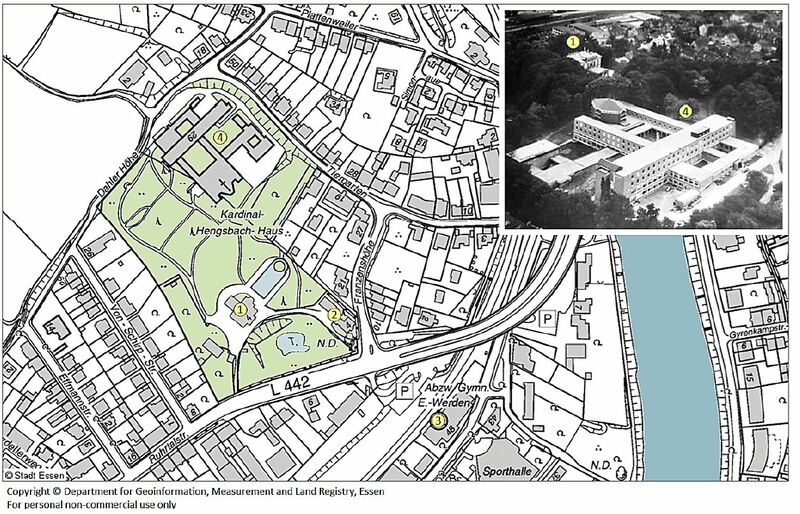 The Carriage House (2), Train Station (3), and Kardinal-Hengsbach-Haus (4) are marked. 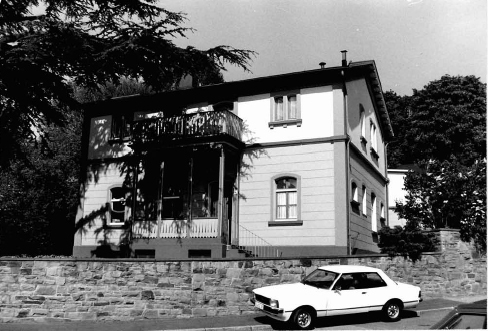 The exterior of the Carriage house was protected by Essen as a historical building in 1986. 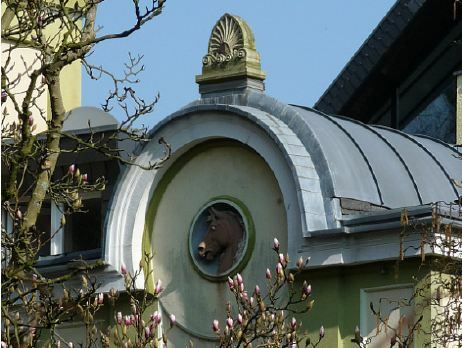 The interior, which had started out as stables and an apartment, and been modified for cars in 1911, was converted into apartments at a later time. Carriage House from Monument Listing. 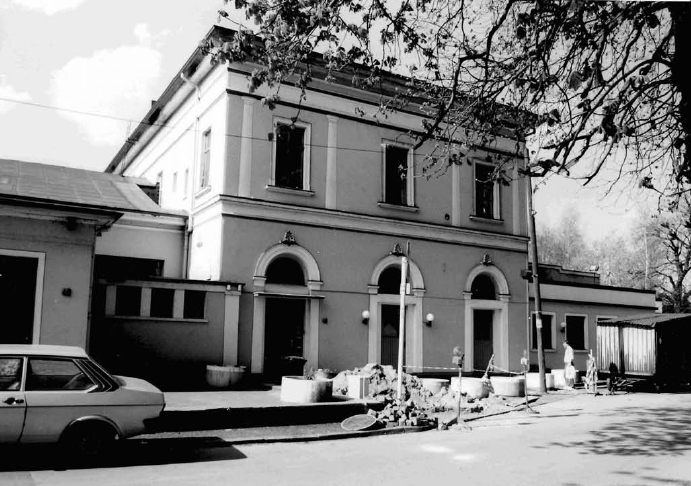 The train station also received historical building protection in 1990. Bahnhof, 2012, Photo by Fabio. This building is becoming a dance school. If so, we are related. It has been 200 years since the Hirschlands of Steinham took that name. That is about seven generations. Read Our stories, comment, and send me more. Victoria H. Hess. Click for my email address and send me stories.